THIS EVENT IS NOW FINISHED. KEEP AN EYE OUT FOR MORE AWESOME EVENTS AT CAPALABA CENTRAL COMING SOON. 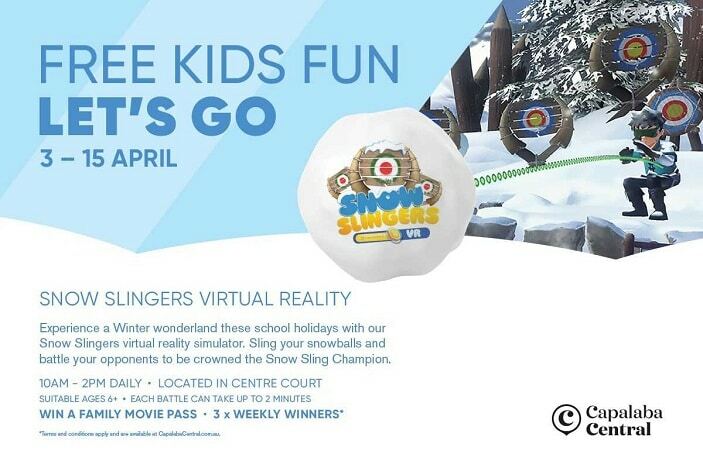 Winter has come early to Brisbane as Capalaba Central host Snow Slingers Virtual Reality during the Easter school holidays. If you are looking for a fun, interactive and action packed activity that is free for your Brisbane Kids during the school holidays then look no further than Capalaba Central shopping centre, who have a two week holiday program that is sure to entertain little and big Brisbane Kids with the greatest snowball fight event of all time! Capalaba Central’s Centre Court will be a hub of excitement as the Snow Slingers Virtual Reality simulator has everyone throwing snowballs in the ultimate snowball fight (without the chill factor!). This free activity will entertain the whole family as everyone throws snowballs at their opponents and battles it out to win the title of Snow Sling Champion! Each battle will take around 2 minutes and will see the competitors aiming at targets and trying to avoid being hit by their opponents snowballs and they hide behind moving targets. 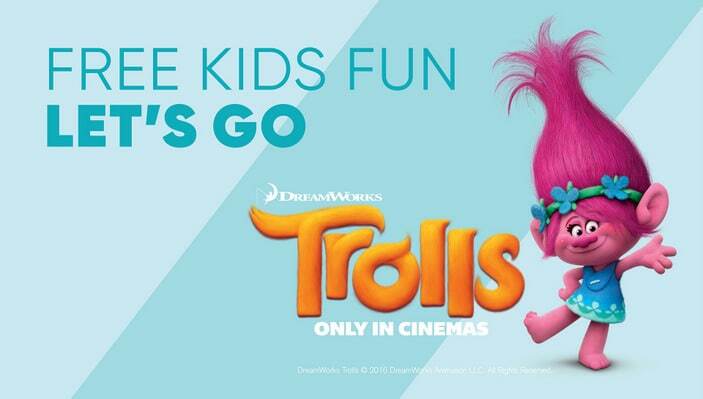 To make the battle a little more interesting, the three highest scores each week will win a family movie pass to the BCC Cinemas Capalaba, which will be an awesome prize to win during the school holidays with so many cool Easter movies showing on the big screen these holidays including Peter Rabbit, Early Man and A Wrinkle in Time. 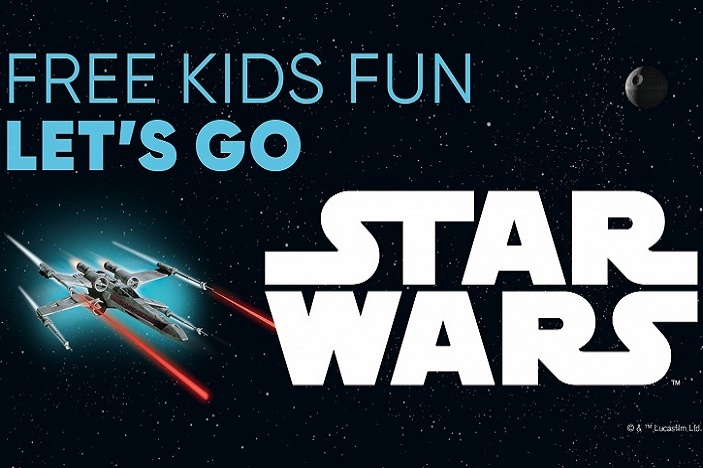 Please Note: This activity is recommended for Brisbane Kids aged 6 years and over. Address: Capalaba Central, Moreton Bay Road, Capalaba, Queensland 4157. Conveniently located in the Redlands Shire, Caplaba Central is only 25km from Brisbane. The best bit about these awesome school holidays activities taking place at Capalaba Central (apart from the fact they are all FREE) is that there is ample parking onsite and since all the activities are held in the shopping centre the fun can continue rain, hail or shine! 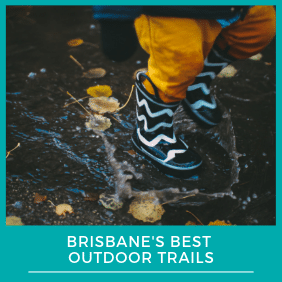 To find out more about what you and your Brisbane Kids can do during the school holidays check out our Brisbane Kids Event Calendar. To find out more about what is happening beyond the school holidays, take a look at the Brisbane Kids Upcoming Shows page or sign up to the Brisbane Kids Weekly Newsletter.